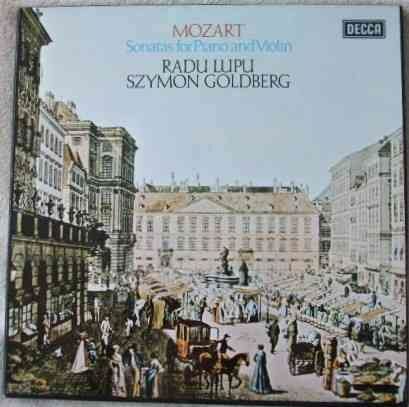 6 X 33rpm LP Record Box Set of Mozart SONATAS FOR PIANO AND VIOLIN featuring Radu Lupu on piano and Szymon Goldberg on violin. It was issued on the Stereo DECCA red & silver narrowband label in 1975. UK pressing. Catalogue number: 13 BB 207/212. Includes booklet. The records themselves are graded at least excellent, with no more than the odd superficial surface mark visible when viewed under normal house lighting. Play-tested on a USB turntable. Excellent sound quality. Just the occasional light tick/pop on a couple of sides, nothing at all drastic. Otherwise more or less faultless playback. Minimal to no spindle wear. Labels very clean. No more than very light spider marks. The outer box is graded at least very good, with a thumbnail closed split to the bottom edge of the lid and light bumping to corners. All sides otherwise intact and strong with no loss to the lettering. Clean and sturdy. 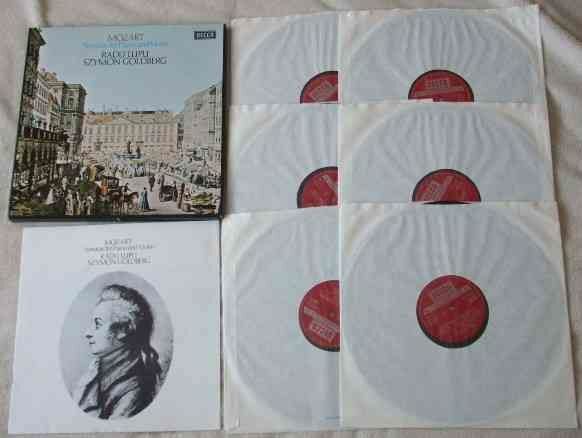 The inner sleeves have no wear to speak of. The booklet has a few very light age spots and stains.